PRE-FORECLOSURE SALE, $190,000 BELOW RECENT BANK APPRAISAL. 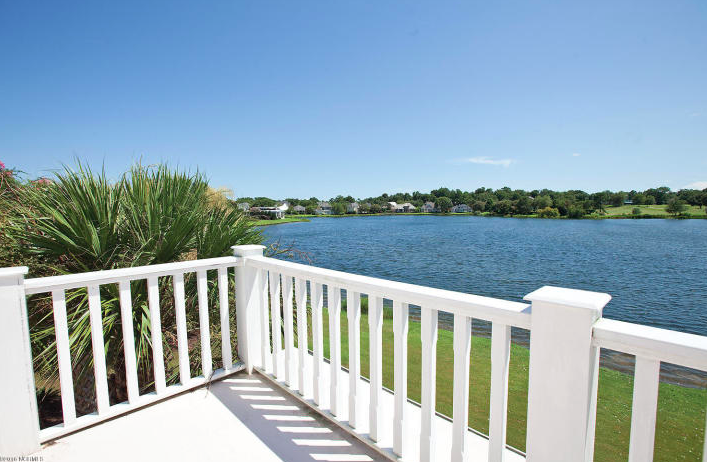 This is Landfall’s crown jewel, with breathtaking views and 170 feet on the Dye Lake. 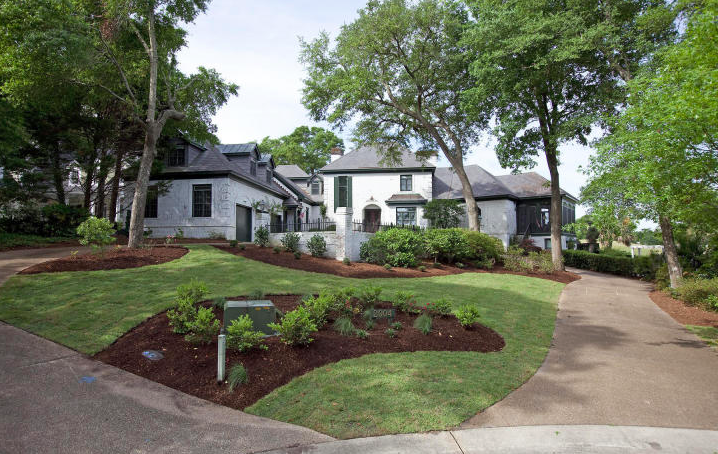 Situated at the end of a cul-de-sac, this classic low country home has panoramic views of the Dye Lake, #1 fairway, green and #2 Signature Island green. Every room has spectacular views! There is a newly renovated, oversized, gourmet kitchen complete with granite countertops, travertine flooring, custom cabinetry, island bar, stainless steel appliances, two dishwashers and two sinks. The home includes a first floor master and first floor guest bedroom, and a second floor master with two additional bedrooms. There are large living and dining rooms, plus a family room and an office on the main level. 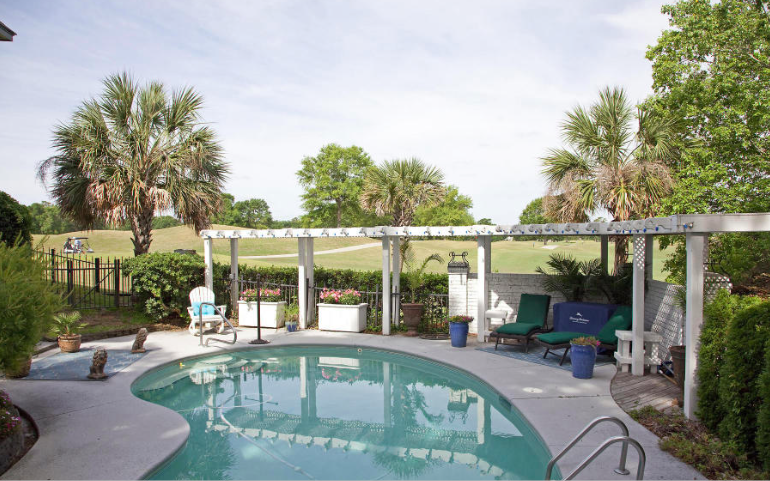 Additional space includes an upstairs playroom and deck, screened porch, and patios with tropical landscaping surroundings. This charming home is a one of a kind, perfect for entertaining guests or just relaxing and enjoying the stunning view. Call about special equity membership. 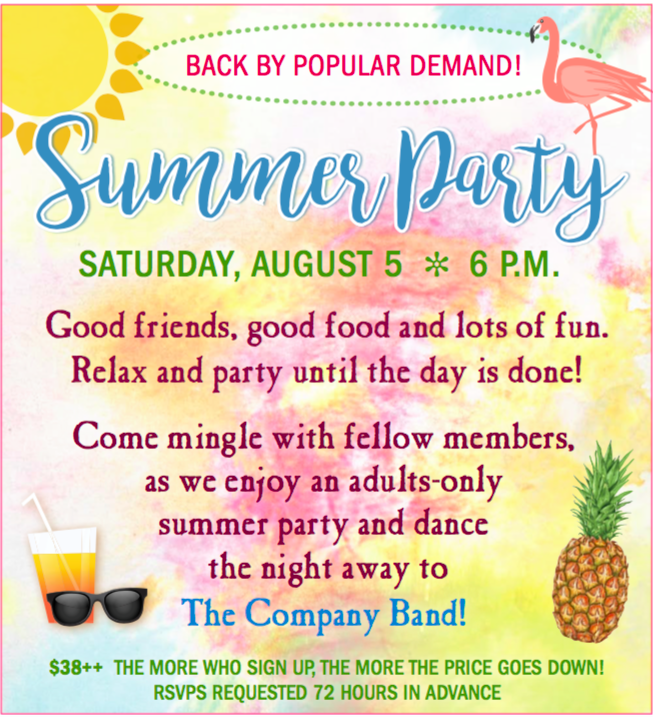 The Country Club of Landfall’s Summer Party! 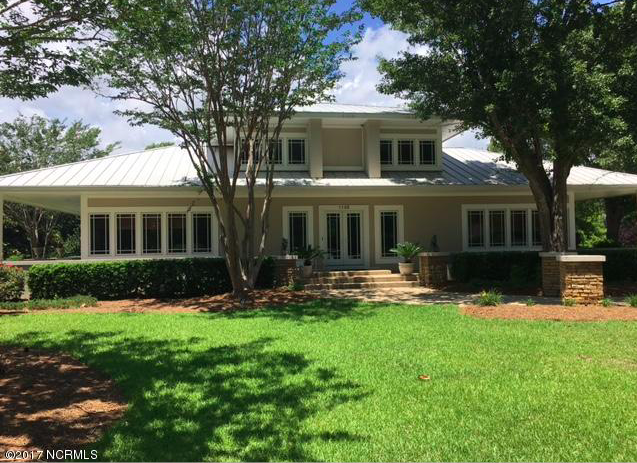 Located in the private gated community of Landfall on the Pete Dye 10th Fairway this custom built home has over 1,000 square feet of decks on 2 stories in the front and back of home. There are gorgeous panoramic views of Dye Clubhouse, practice area, fairways and lake. This home has four bedrooms and 3.5 baths and has been well maintained. The first floor master includes a large shower and two separate his and hers closets. Luxury appointments are throughout this home such as, a gas Viking oven, sub zero refrigerator, and stainless steel appliances, custom cabinets with beautiful subway tile back splash and accent, two gas fireplaces, crown molding, curved walls and all hardwood floors which have just been refinished. Other features include, a large screen TV and surround system, which remain in the media cabinet and built in, outdoor furniture, window treatments and blinds, golf club storage closet, and updated hot water heaters. Take in the stunning surroundings from the terrace, patio or second story balcony. 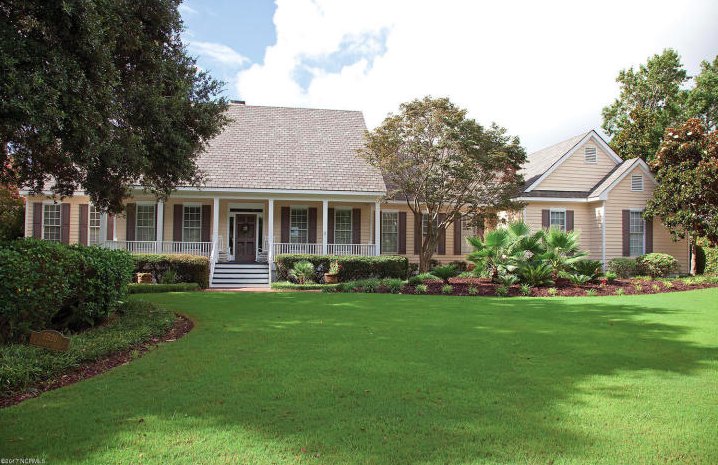 This home is conveniently located within walking distance to Dye Clubhouse. The yard maintenance is included in Villa HOA. The Lumina Festival of the Arts is happening now until the end of July at the University of North Carolina at Wilmington. The festival celebrates the arts in the Coastal South, featuring dance, film, visual art, poetry, and opera. One of the most anticipated events is the opera Carmen. The opera, which is sung in French, is full of love, lust, and murder. Another highlight of the event is Shakespeare’s play “Much Ado About Nothing”, a comedy about a feuding couple that begins to reconcile their relationship. The concert portion of the festival includes a jazz workshop, Mozart concert, piano trio, and a guitar quartet. For a full list of the performances during the Lumina Festival of the Arts visit their website http://uncw.edu/arts/lumina/index.html. This is a stylish European classic home with a prestigious setting and a panoramic view overlooking the Dye Course to the lake beyond. This all brick home was stylishly renovated in 2007 to include a new kitchen with gourmet touches including a Five Star commercial range, 48” Sub-Zero refrigerator and double dishwashers. A new master bath was built in 2017 that features a large shower, double vanities, and space for a free-standing tub. The master suite also includes a charming fireplace and double closets. Formal and informal entertaining is provided by the oversized living and dining rooms, gracious breakfast room, and morning room, which opens to the kitchen. Included for outdoor living is a convertible sun porch that can be used year-round. Upstairs there is a special apartment with full kitchen and laundry, accessed by a back staircase. This is a one of a kind Frank Lloyd Wright inspired Custom Craftsman styled home. This unique property features a central great room with a two story vaulted ceiling. The open floor plan connects the formal living and dining areas, and home office, all flowing from the central space of the great room. 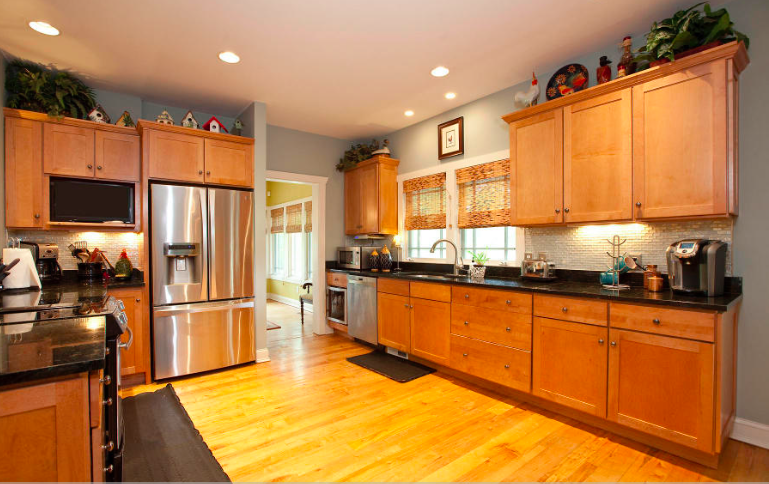 The kitchen has a modern, clean look, with hardwood floors and stainless steel appliances. With four bedrooms and three and a half bathrooms this home has plenty of space. A classic contemporary design that is timeless and will never go out of style! This home is almost ”beach” like with its bead board wainscoting and maple hardwood floors. 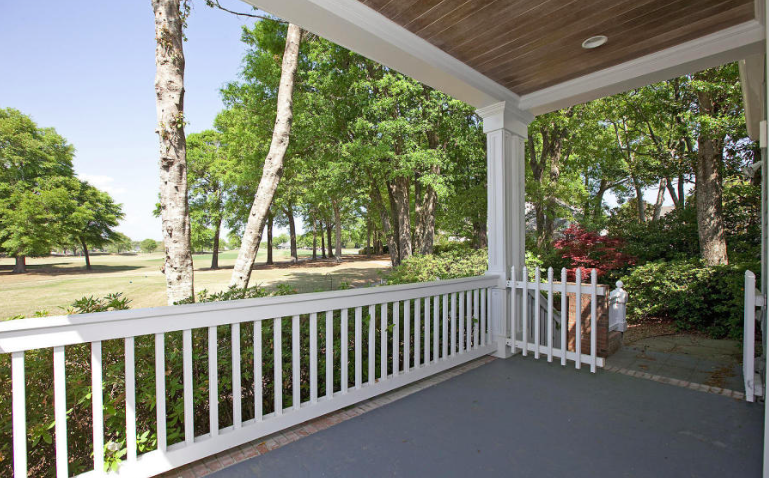 There are wrap around porches for breeze catching relaxation.